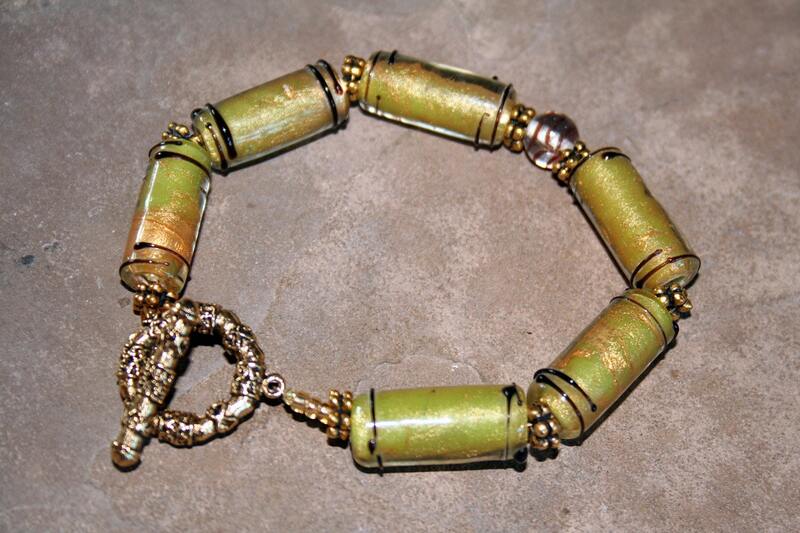 This bracelet features spring green lamp worked beads with a swirl of rich dark brown and shades of rust and orange with amber and green Czech glass spacer beads. The beads were made in Venice, Italy and are vintage. It has an antique brass toggle clasp fits the average wrist.